Just as genre classifications can be unfair to artists, so too can band comparisons. 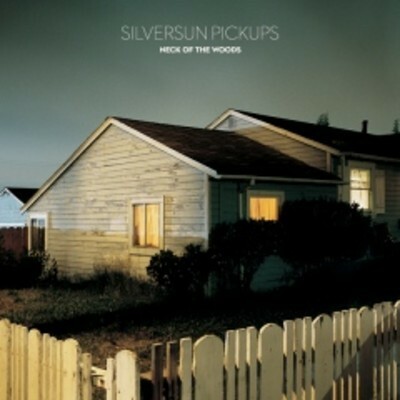 Silversun Pickups stand as a good example of the inequites of band comparisons. This band is compared to Smashing Pumpkins more often than Smashing Pumpkins is. In this case, I can see where people get the comparison because, especially in the vocal department, Silversun Pickups does bear some resemblance to the aforementioned band. Particularly in their earlier years, Smashing Pumpkins was more of an alternative and progressive metal-leaning group. In this regard, Silversun Pickups is not even comparable. This group, from Los Angeles, plays an indie, alternative flavor of rock music built upon dueling guitars and shimmering vocals with the the occasional accentual shoegaze reverb sound. Many of the tracks on this disc kick off with acoustic preludes, and soulful singing, which then builds in tempo and intensity throughout the song. Compared to thier previous effort, Swoon, Neck of the Woods offers more of everything. This is really tasty music with excellent harmonizing between instrumental sections and tight singing. This is a memorable album as well, in that most of the tracks are sing-along worthy with hooks that run deep enough to catch listeners and not let go even through repeated listens. I ought to know this first hand, as I listened to this album three straight times upon its release due to a malfunctioning download from iTunes (which has since been resolved). Neck of the Woods is an album worthy of 4.5 out of 5 stars. Listen to the album's lead single, Bloody Mary (Nerve Endings) below. It is definitely worth hearing. An epic record. I can't listen to it enough, and I'd love to see it done live.